TAIPEI (Taiwan News) – Paul Liao, the chairman of Breeze Development, a company which runs several upscale shopping malls in Taipei, died on May 20, his family confirmed in a statement Friday. Liao was reportedly 65 years old and died of cancer, according to media reports. The businessman launched his career in the metals and wood trading sectors in 1973, and only opened the first Breeze Center on the site of a beverage factory in Taipei City in 2000. Liao had an interest of 75 percent in the project, with the remaining 25 percent held by beverage group Hey-Song Corporation. The group now runs seven malls in the capital, including one inside the Taipei Railway Station. According to the family statement, Liao held a black belt in taekwondo and had the spirit of a classical warrior. The news release concluded with an emphasis on the businessman’s charity work in the later part of his life, as he took a backseat in the management of the company. 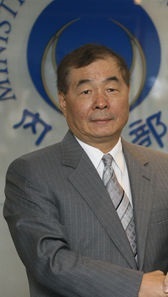 His son Henry Liao serves as executive director at Breeze. Both the younger Liao and his wife, socialite Aimee Yun Yun Sun, frequently appear in the media and in commercials. They have also signed distribution deals to import foreign brands into Taiwan and took over an Italian fashion house, Giuliano Fujiwara.